He’s the King of Comics! A man who left an indelible mark upon the medium, using his peerless imagination to create some of the greatest stories and characters ever told. All this week, join Marvel.com for a celebration devoted to all things Kirby with Marvel’s Kirby Week. 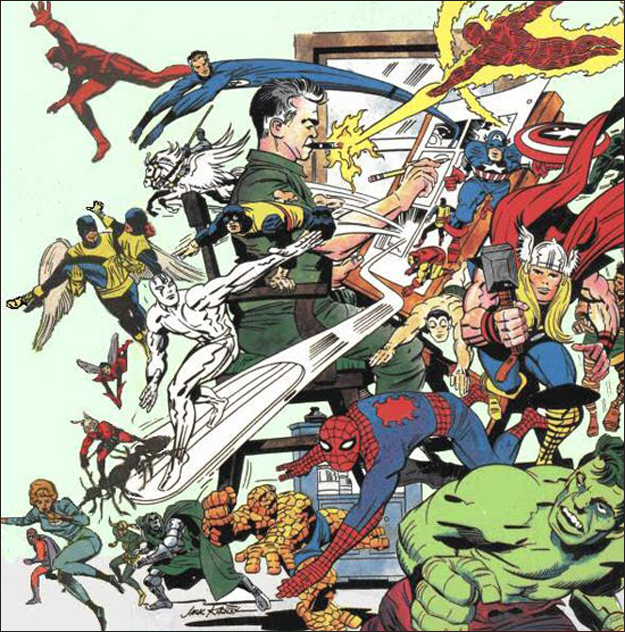 Jack “The King” Kirby is one of the founding fathers of the Marvel Universe and from August 22nd to the 28th–what would have been Kirby’s 99th birthday–Marvel will pay homage to the incredible and iconic contributions Kirby has made to the House of Ideas, entertainment, and pop-culture. During Kirby Week fans will get to explore how Jack Kirby brought his creative genius to the Marvel Universe through several articles devoted to “The King” himself. Check out the first in-depth article devoted to the origins of one of Jack’s most monstrous creations – The Incredible Hulk. Marvel.com will also be releasing several podcasts speaking with Neal Kirby, as well as comic book historian, Peter Sanderson, for exclusive interviews on how Jack Kirby has influenced some of the most iconic creative voices and talent of today. Additionally, Marvel.com will also be sharing some of the most iconic moments from Jack Kirby’s historic catalogue of Marvel milestones all week long. Whether it was westerns, romance, war, horror, sci-fi, humor or Super Heroes – Jack Kirby could do it all through genre-defining stories, and charted a decade-spanning course for graphic fiction as a whole. 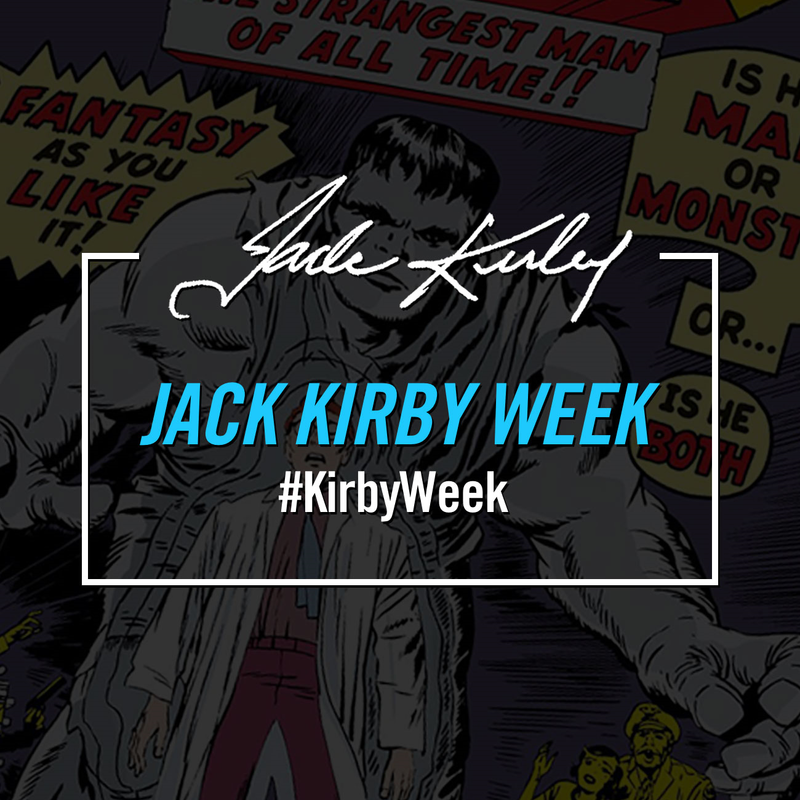 Use #KirbyWeek on social media and share your favorite Jack Kirby stories, moments, art, and characters. So join Marvel this week for your chance to honor one of the masterminds behind the Marvel Universe through Marvel.com’s Kirby Week. Hail to the King!